Sometimes, vehicle owners have to change the residence or mailing address that is registered with the vehicle agency whenever they shift from one place to the other. They have to inform the agencies through applications and forms available for that. 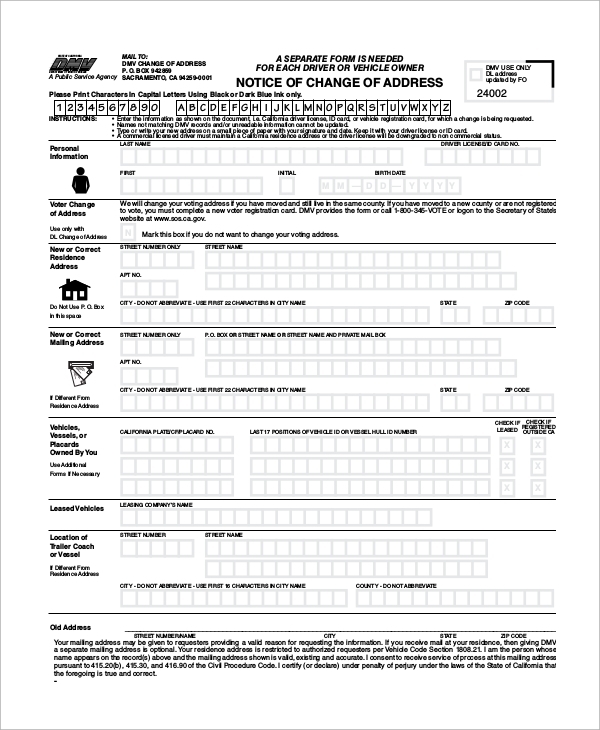 The following DMV change of address Sample Forms can be used for different purposes of address change such as change of address in license card, insurance documents or any ID card for that matter. 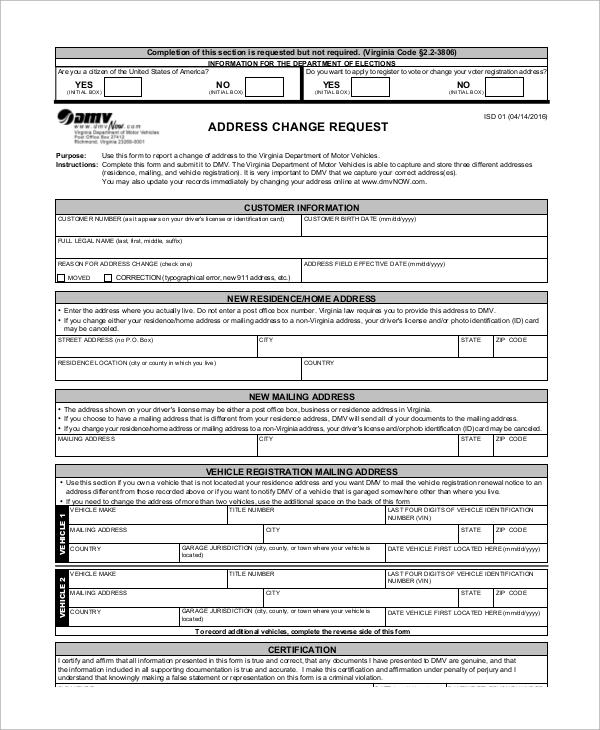 This is a simple DMV change of address form for changing mailing and contact address. This contains provisions for personal information, new residence address, new mailing address, vehicles owned by the voter and old address. It is printable after filling up. 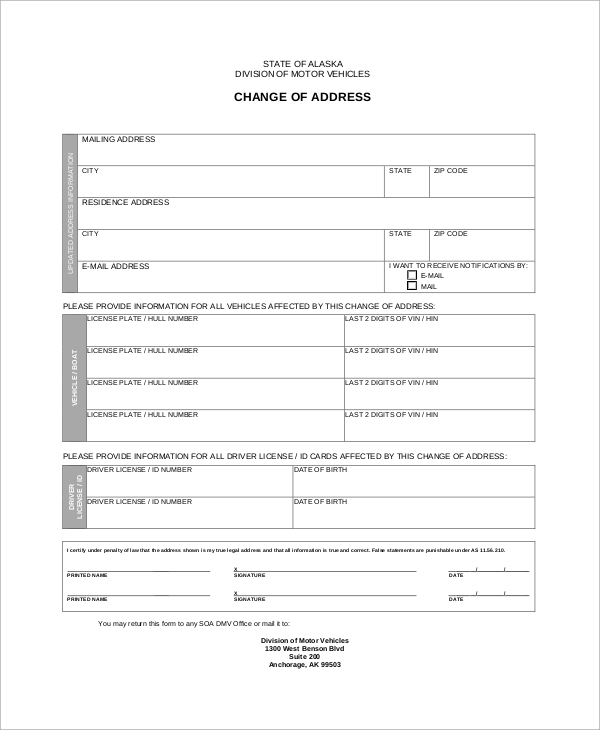 This is a DMV change of address form for changing resident address. It contains the instruction to follow to complete all the steps successfully, fields for general information such as the owner, address of the old house and new house, and likewise. 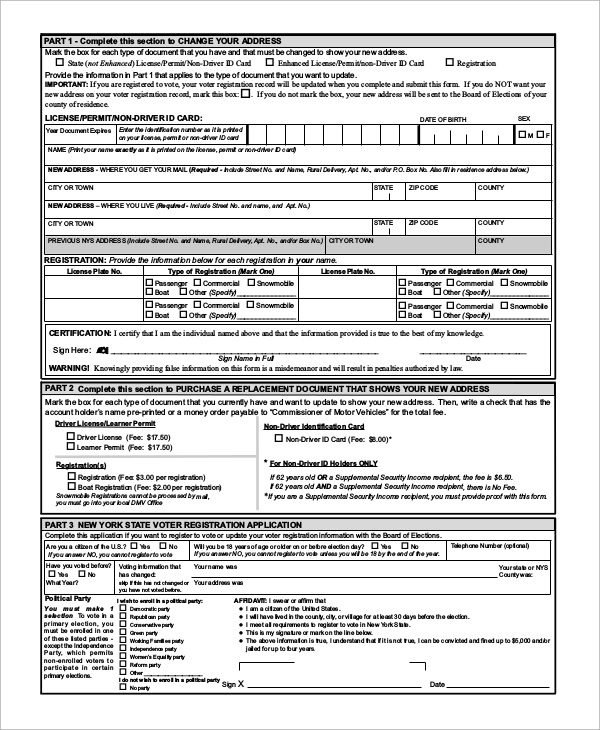 This is an application for DMV change of address form which can be sent via mail without any need of your physical presence in the office. It is applicable for changing the address of your commercial driver’s license, driver authorization card, and any identification card that has no expiry date. 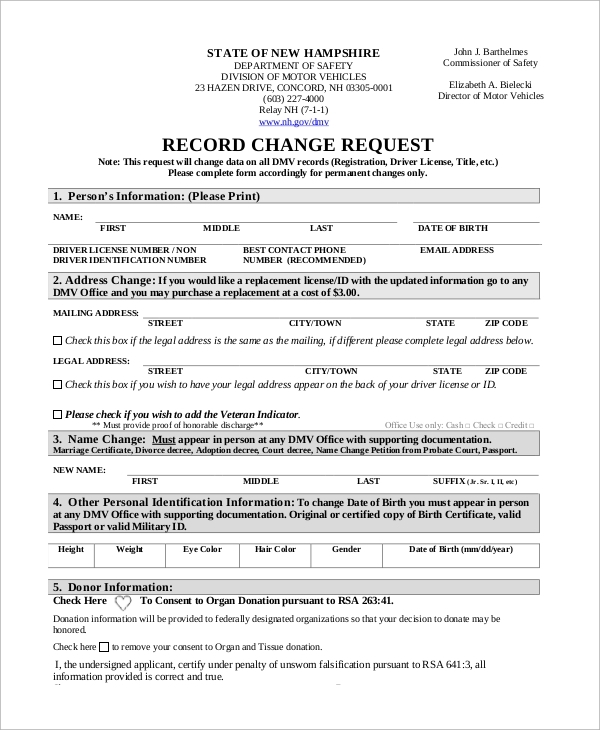 This is a request form for SMV change of address. One has to provide residence address, mailing address and vehicle registration address along with customer information, declarations, and certifications. 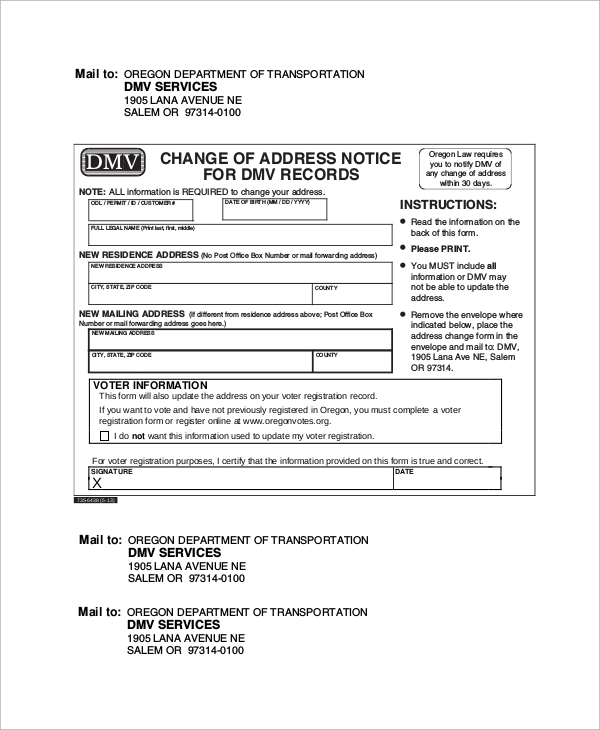 This is a form to send a notice for DMV change of address. It is used when there is a change of address required in the driver license, permit or ID card record. It has sections for writing new residence address, new mailing address, and other necessities. 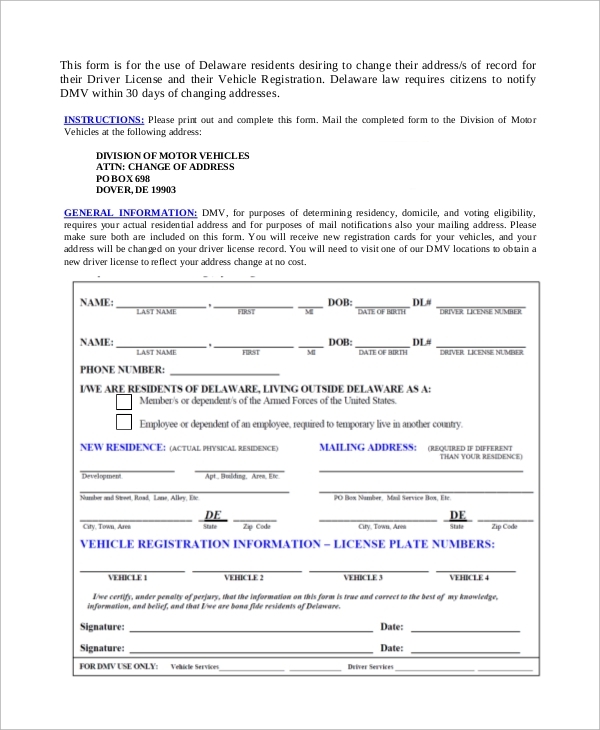 The DMV change of address forms is needed by the vehicle owners who are going to shift from one place to the other and they want to change the mailing and residence address that are associated with the ID cards, insurance policies of the vehicle department and similar things. Similarly, vehicle drivers also need them when they change the resident address to change it on their driving license as well. You can also see the Sample Bill of Lading Forms. 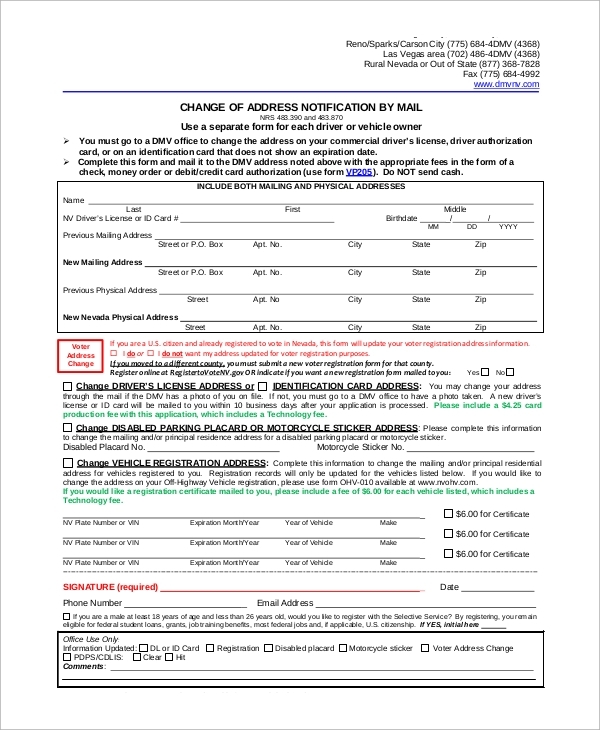 The above-listed DMV change of address forms will give you the complete idea about the different forms and requirements while changing the address of resident or mailing address in various identification cards without an expiry. They have the full instructions and the declarations of the evidence required to change the address associated with the vehicle and its cards.